What does video mean for your business? If you’re in business, then you definitely want to use videos as a part of your marketing strategy. Although you probably know intuitively that videos are important to your strategy, you may not realize just how important they are. Not only is video the best form for marketing content, research indicates ‘90% of customers report that product videos help them make purchasing decisions.’ HubSpot reports that more than half of the people they surveyed said they wanted to see videos from businesses they deal with. Other research indicates videos are on the rise and will consume much of the internet space in the near future. So, what does this mean for your business? Having the proper video marketing tools is critical. 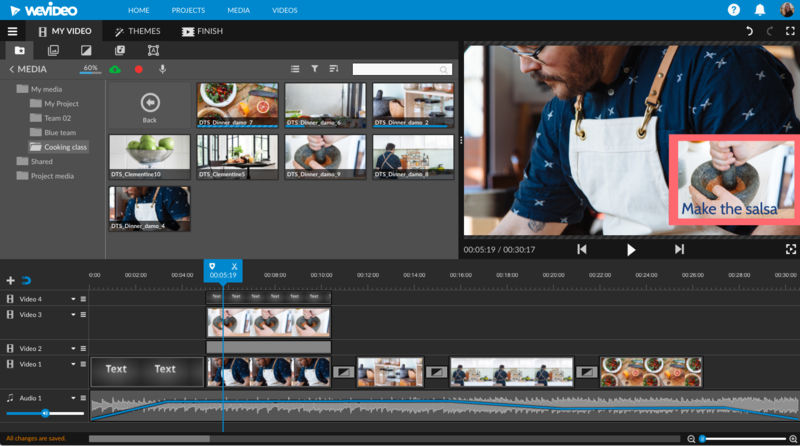 To help you achieve your content marketing goals for the upcoming year, here are 5 top video marketing tools. Are you looking for a creative, eye-catching video app that is simple to use? 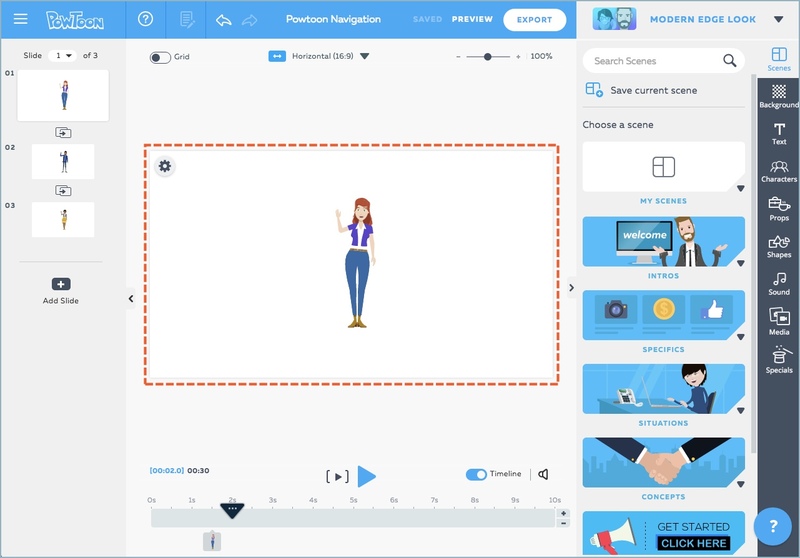 PowToon makes your business videos look professional while being easy to create. It has a drag-and-drop feature that allows users to work effortlessly within the app. First, chose the characters you want to use. Then select poses for your characters, props, and transitions. Several ready-made characters are available for you or you can even create characters from scratch to resemble people in your business. If you don’t want to spend a lot of time starting from scratch, you can choose from the many pre-made PowToons. Tweak it to make it customized for your business. Have fun with Vyond and accomplish a professional-looking video in the process. You can select from one of the hundred of animations available and then easily edit it using the editing tools. Or are you up to creating your own video from start to finish? If so, you can select from a variety of pre-made characters, backgrounds that fit many industries, props, decorations, and use speech bubbles too. Make your characters come to life with facial and body expressions such as crossed arms, dancing, kneeling down, and so on. Record sounds, choose music, and use sound effects. Then put it all together. Another feature you’ll love is the ability to upload your business data into a chart within the video. This makes it simple to display important information to your customers without having to retype it. With the Slidely program you simply string together slides or select a pre-made video by choosing from a large library of premium videos, music, and text. They boast of having over a million video clips which give you a vast selection. Select the ones that will fit your brand, then put them together with music, choose pre-written text or write your own, and it’s done. The license for the creation is all yours to keep as well. The WeVideo app allows you to use multiple audio and video tracks at once. This comes in handy for those who want to create a video with layers of visual and audio effects. With over 500 audio selections, pictures, graphics, and videos from which to choose, you are well on your way to creating a video. When you begin the video creation process, you will see a timeline at the bottom of the screen. Select the visual images or video clips you want to use on the appropriate track. Next, put music or sound on the audio track to correspond to the visual element. If one of your clips is too long, you may simply cut it with the editing tools. Use your own pictures or videos if you like. Make use of the transitions tab to move seamlessly from scene to scene. You can use simple or more complex transition effects. You’ve probably seen a video using the whiteboard story form. The person writes on the whiteboard while a voice over explains a concept. The speed of the drawing is accelerated so that it keeps in time with the speed of the story. The entire visual effect is very captivating. This is how VideoScribe works. You simply select the image(s) you want to have drawn, choose your music, and even pick out the type of hand you want to draw your pictures. Figure out how long you want the drawing to take and record your voiceover. If drawing is your thing, then you can draw your own images and the program will do the story animation for you. Making your business competitive is possible with a strong video marketing strategy. Video making tools help your business stay relevant in a highly visual world. Are you ready to discover the power of videos? Connect with React today for more information.